Eating too much salt can lead to high blood pressure, so it’s important that we try to control how much is in our diet. But part of the problem is that the human brain drives us to eat salt, and we just don’t know why … yet. When we say ‘salt’, we usually mean sodium chloride, also known as table salt. We need salt in our diets to help us control water levels in our body, but it is actually quite rare for us to need more salt in our diet, usually we have too much. Why is too much salt bad for us? Our kidneys are really important for regulating our blood pressure; they remove water from our blood. But too much sodium (or salt) in our blood pulls the water back in, so it stays in the blood and contributes to high blood pressure. More salt in the blood means more water in our blood vessels, which leads to higher pressure in the vessels. High blood pressure is a major risk factor for heart and circulatory diseases: over time the blood vessels have to work harder to resist the higher pressure. This causes the walls of the vessels to become thicker, reducing the amount of space for blood to flow through and further increasing our blood pressure. So how much salt should we have? Current guidelines say that adults should aim to eat less than 6 grams of salt per day — roughly about a teaspoon’s worth. This includes the salt we add to our meals when cooking and the salt already found in our food that we don’t always think about, including in things like bread and sauces. For example, just 2 slices of many types of sliced bread can equate to 1 gram of salt. The average adult in the UK usually consumes too much — about 8g per day. Why do we like salt so much? We know that salt can makes food taste better, and regularly eating too much salt increases some people’s blood pressure. So we are often advised to limit our salt intake, but it can be really difficult to overcome those salty cravings. And we don’t know why salt affects some people more than others. 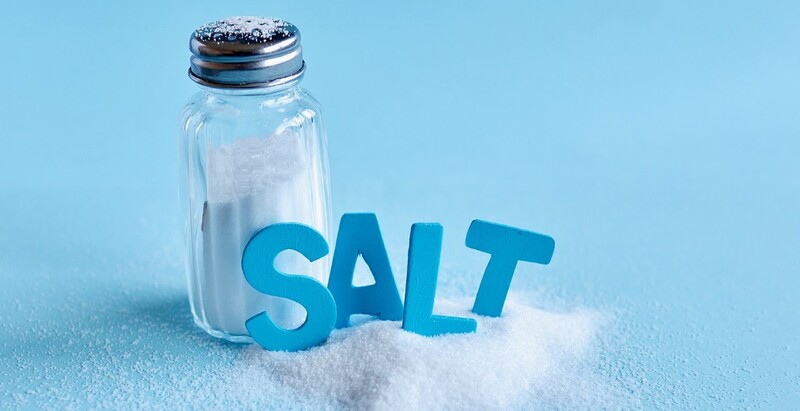 Dr Matthew Bailey and his team at the University of Edinburgh are trying to understand why we like salt so much, and how our appetite for salt is controlled. Improving our understanding could help us find ways to help people reduce their salt intake and overcome our love of all things salty. They have discovered that certain neurons in the brain are able to control both our urge to eat salt and how our blood pressure changes in response. They identified a particular gene that can limit the effect of hormones which can drive this urge. When mice didn’t have that gene in their brain, they consumed three times as much salt. They also found that, after several days of taking in higher levels of salt, these mice developed high blood pressure. Now the team are working to understand how this hormone system controls our appetite for salt, how our kidneys and blood vessels react to salt consumption, and if this could contributes to the rise in blood pressure. This would help to explain why salt causes some people’s blood pressure to increase and not others. They hope that understanding how these processes work could help us to find ways to stop our salt cravings and help people reduce their salt intake as part of a healthy diet. Alcohol — can you get away with it? Are athletes really fighting fit? What do milk and the human heart have in common? Why do we love salt so much? was originally published in British Heart Foundation on Medium, where people are continuing the conversation by highlighting and responding to this story.